The following section displays the Trans Mongolian train routes and specific Trans-Mongolian trains as well as arrival and departure schedules. To receive Russian train schedules and Russian train ticket prices as well as to have the opportunity to order Russian train tickets online, please use our Russian train tickets page. 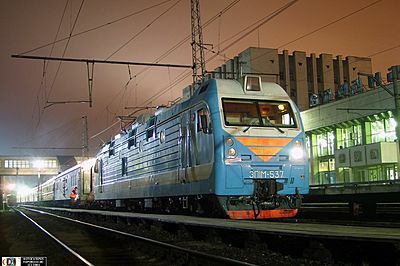 The train 003/004 operates on Moscow to Beijing route. It departs from Yaroslavsky train station in Moscow and arrives 5 days later at Beijing Central station. The distance is 7622 km. The train crosses Mongolia and makes a stop in Ulan Bator. It has 1st and 2nd class cabins and a nice restaurant car. NOTE: As the train crosses Mongolia on its route you may need to obtain a Mongolian transit visa to travel to China, please check the website of your local Mongolian Consulate. 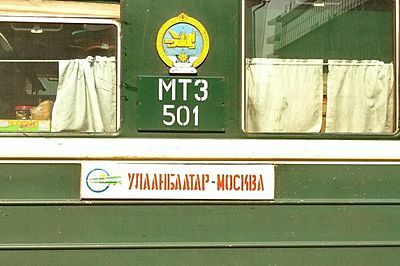 The train 005/006 is an international express train operating 1-2 times a week between Moscow and Ulan-Bator along the Trans-Mongolian route. The train has 1st and 2nd class compartments and a restaurant car. This train is unique because it is frequently filled with Russian and Mongolian traders with their goods. The police may also make more careful inspection of the compartments due to the high trade activity. Usually it takes 4 hours, so be ready to spend some time at the station.